So what is it with the Burka? 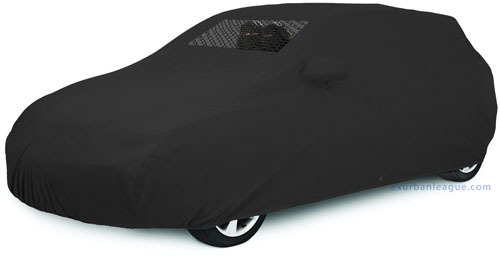 Re: So what is it with the Burka? I'd love to hang out where you do. I haven't seen people in fetish wear* access the same places those in muslim garb do. So, how's everyone here (who can) going to vote? I, clearly, will vote the same as I (and most people) did in the case of the TI ban. Depends on what your fetish outfit is. Why do they want to ban it? What is the problem? But you see, fetish wear is a club (private space) thing in our culture. How about we include the burka and other similar outlying outfits (in our culture) as part of the fetish wear? Our outfits are dimmed as such in those countries, where people who wear western outfits have to stay indoors (private space) due to the perceived exposure. There was something of a scandal a few years ago when assassin robots were disguising themselves with burkas in order to prevent detection when roaming the streets of Geneva looking for humans to retire. The problem was solved by the compulsory registration of all assassin robots, but some people still witter on about it as if it was some kind of ongoing problem. It's still 1908 in the minds of some people! They wore some spiffing cowboy hats, though. And if the Burka is banned what will half our village wear for Fassnacht? Most seem to enjoy this particular outfit! I was even thinking of making myself one to wear when I need to go out and too lazy to change out of my working clothes - such an easy style of dress! It covers all sins! Because people think that somebody is gonna rob a bank? And if the Burka is banned what will half our village wear for Fassnacht? I used to wear a nice ghost outfit made out of a high-quality linen sheet, with either my lizard, ostrich, or snake-skin boots, and my 10x beaver Stetson (made in my home town). I went as the ghost of John Wayne. Which is why the Swiss and out European countries kicked them, out, and sent them to America (where they still prosper till this day)!